OK. Dad still listens to the soundtrack fo Starlight Express. Just sayin'. "I wanna dance with somebody" was the one and only anthem to my 13th year on this planet. 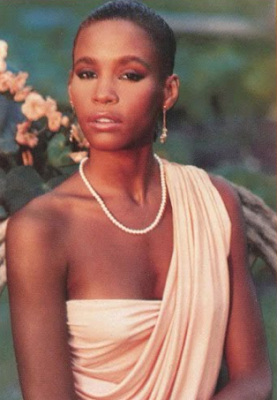 So long Whitney. I saw the Starlight Express on stage in London when I was a little girl. It was INCREDIBLE. whitney was incredible. i think, especially, if you came of age at a certain time: as a girl in the 80s. it was the only cassette my mom had in her car, when i was a kid. and my sister and i sang to it, all warbly-like and passionate. so sad about the news. Don't stop now, we gotta keep it goin' all night! I actually saw Starlight Express in London. Even as a kid I knew it was SO BAD. And I loved me some rollerskates. in the late nineties this Jersey girl (and Whitney lover) headed South to Virginia, met a southern boy and decided to get married, turns out his family of many generations had a Steel Magnolias type hairdresser scenario and I went to get my haircut, the owner's daughter was the choreographer for Starlight Express show in Europe, as evidenced by the many posters lining her basement salon featuring 80's hip androgynous chicks with uber-spiked dos. So, loved Whitney, never saw Starlight but when I left the salon that day I looked like a freakin' cast member - haven't thought about that in years!